A very special year…WAQA is celebrating its 40th Anniversary and to help celebrate this milestone QuiltWest will have a number of inspiring quilt displays: WA Inspired (featuring small quilts that represent four distinctly WA themes of Sand, Strata, Salt and Scheme), WAQA Challenge ( 24 quilts with the theme of Illumination), Contemporary Quilt Group (‘Door’ challenge) plus a bumper crop of members’ quilts showcasing the talent of WA quilters. 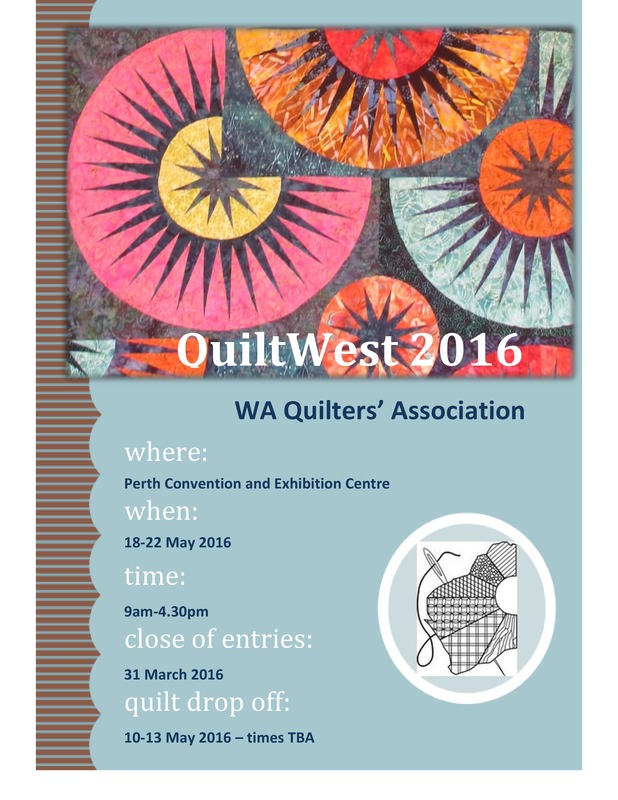 Add to that there will be AQC Challenge quilts (Tradition with a twist), Best of Australia (Each state’s 2015 Best of Show quilts), Paws and whiskers (mini challenge from AQC). Phew!